A second series of BBC One's fresh and contemporary take on the classic Alexandre Dumas characters has been commissioned following an impressive launch. With a consolidated audience of 9.3 million for episode one of The Musketeers, this makes it the BBC’s biggest new drama launch since Call The Midwife. 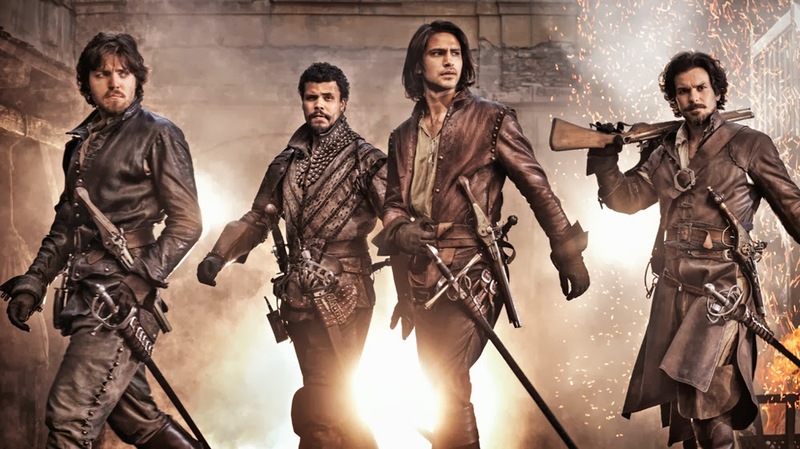 The Musketeers has proved a successful addition to BBC One’s line-up with the first three episodes averaging 6.3 million viewers in the overnight ratings. The current 10-part series stars Luke Pasqualino (Skins, The Borgias) as D’Artagnan alongside The Musketeers, Tom Burke (Great Expectations, The Hour) as Athos, Santiago Cabrera (Merlin, Heroes) as Aramis and Howard Charles (Royal Shakespeare Company) as Porthos. Together they are a crack-team of highly trained soldiers. All four cast will return in series two. With a further seven episodes of the Sunday night 9.00pm drama still to come, viewers can expect to see a stellar guest cast including JJ Field, Vincent Regan, Ashley Walters, Amy Nuttall, Tara Fitzgerald, Annabelle Wallis, Zoe Tapper, Vinnie Jones and Sean Pertwee.